Do you want to say us something? Call us at +34 91 505 29 27 or fill in the form on the right and we will be happy to assist you. Do you have a business and you are looking to change the image? Or maybe you are going to open a new business and you need all the signmaking work? 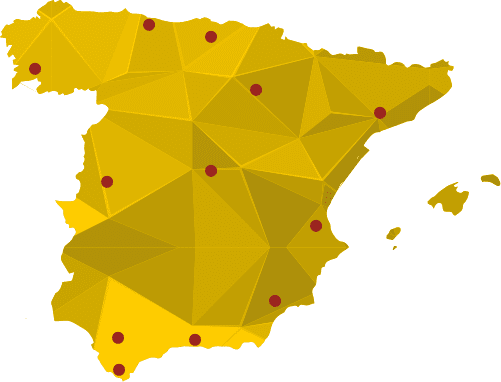 You can find Xprinta in whole Spain! Our head office is in Madrid, from where we can assist you in whatever you need. Objective: manage the request you make in this form. Recipients: they will not be sold to third parties except legal obligation. In Xprinta we have 12 factories in all national territory. You can find your Xprinta factory in the map, and contact with us if you have any doubt.